International Festival of Country Music introduced country music to the British public almost 45 years ago. The shows, promoted by the legendary Mervyn Conn, ran for 23 years from 1969 to 1991 at Wembley Arena. Hugely popular, the shows always featured the biggest stars of Country music fans were treated to outstanding performances by artists including; Dolly Parton, Johnny Cash, Willie Nelson, Tammy Wynette, Jerry Lee Lewis, Crystal Gayle and many more. Now after a gap of 20 years the Festival is back, and one thing that has not changed is world class line-up. Skaggs and his band Kentucky Thunder will be a part of the next big lineup. The festival takes place in London's Wembley Arena 26th February 2012 and then in Belfast's Odyssey Arena 29th February 2012. Details and ticketing information can be accessed at the Festival of Country Music web site. 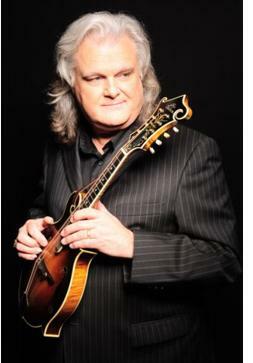 A discography of Skaggs' works include Bluegrass Rules! in 1998, Ancient Tones in 1999, History of the Future in 2001, Soldier of the Cross, Live at the Charleston Music Hall, and Big Mon: The Songs of Bill Monroe in 2003, Brand New Strings in 2005, Instrumentals in 2007, Salt of the Earth with The Whites in 2008, Honoring the Fathers of Bluegrass: Tribute to 1946 and 1947 in 2009 and Ricky Skaggs Solo: Songs My Dad Loved along with Mosaic in 2010.